JAMES RIVER BLUES SOCIETY, INC. The James River Blues Society is a 501(c)(3) non-profit, tax exempt, all volunteer organization governed by an elected Board of Directors. The JRBS is dedicated to promoting and preserving blues music in the central and western areas of Virginia, and is an affiliated member of the Blues Foundation. BOARD OF DIRECTORS MEETINGS: Monthly, on the Wednesday before each membership meeting, ASIAN GRILL, 6015 Fort Ave., Lynchburg, 7:30 p.m. MEMBERSHIP MEETINGS: Monthly, on the second Tuesday of each month, 7:30 p.m. at: THE BISTRO, 1208 Main Street, Lynchburg (across from the City Market). NOTE: The JRBS quarterly Bluesletter is published electronically through our website. Deadline for submission of articles & advertisements is the 20th of the month prior to publication unless otherwise stipulated. The deadline for the Oct-Nov-Dec publication is Sept. 20. The JRBS reserves the right to edit articles in order to fit the newsletter format and to ensure proper syntax. If you would like your materials unedited, please state so with your submissions. Please submit via e-mail to: jamrivblusoc@aol.com. These ad rates are for camera-ready art and per issue. If at all possible, please submit advertisement payments in advance. Thank you. To receive a t-shirt by mail, please add $4.00 for shipping and handling. Thank you! JRBS BLUES CD LIBRARY Check out up to three CD’s per month from the blues CD library (available at JRBS membership meetings). Choose from new releases from national, regional, and independent blues labels. FREE BLUESLETTER CLASSIFIED AD One free classified ad (up to 4 lines) per membership per issue. CLEARY VIDEO OASIS (Amherst Highway, Madison Heights, VA, 434-845-8124). A 3-day music video rental for $1.50 each with valid JRBS membership card. THE CLUB JAZZ & BLUES THEATRE (627 Townside Dr., Roanoke, VA, 540-343-6751). Discount on event tickets with valid JRBS membership card. DELTA BLUES MUSEUM Receive 50% off admission to the Delta Blues Museum in Clarksdale, Mississippi. with valid JRBS membership card. CATAWBA SOUND STUDIO (www.catawbasoundstudio.com) Receive a $5 discount with valid JRBS membership ID. Morgan Alexander, William Bond, Cheryl Borland, Jan Guelzo, Thomas Hearn, Martin Hodgson, Stu Israel, Bette-Jeanne Jorgensen, Julie Lascell, Dan O'Donnell, Helen Ramsey, Kevin Selfe, Danny Shutt, Mike Stoyle, Moses Ware, Jr.
It’s hard to believe, but it’s time once again for our BIG BLUES EVENT OF THE YEAR!! The JRBS has teamed up with the Sedalia Center for Blues Fest 2004 in the beautiful Blue Ridge Mountains of Virginia! The Sedalia Center is a great festival location with beautiful scenery, a covered pavilion, and lots of elbow room whether you choose to sit under the cover out of the sun or if you bring your blankets and chairs and listen to the great variety of blues under the stars! Camping is even available for anyone wanting to make it an overnighter! What a line-up we have this year!! Eight blues acts will compete in our 6th annual blues talent competition which kicks off the event at 3 p.m. and will no doubt give everyone in the audience (including our panel of judges!) a taste of the many different styles of blues music being played today. Who will be the winner this year? You’ll just have to come to the festival to see: The Dwayne Cabaniss Band (from Richmond); Eli Cook & the Red House Blues Band (from Charlottesville); Fletcher Bridge (from Standardsville); Full Tilt (from Lynchburg); Johnnie and the Lowdowns (from Richmond); Laurabella (from Huddleston); Proffitt and Sandidge (from Amherst); and Wailin’ Slim and the Sofa Kings (from Roanoke). But wait! There’s more! Following the competition performances, the Sedalia Center will present Sean Costello making a rare area appearance! Sean can certainly be an inspiration to all the players in this year's competition because in 1994, he won the blues contest sponsored by the Beale Street Blues Society in Memphis and went on to perform at the IBC where he met up with another contestant, Susan Tedeschi. (Sean later played on Tedeschi's "Just Won't Burn" record). A quote from Sean's website (www.seancostello.com) sums it up nicely: "Costello is years past simply being the hot young blues guitar prodigy sitting in with his idols. The release of his third album finds him fully developed as a seasoned artist with the complete package: Distinctive singer, adept bandleader, stirring songwriter, and of course, incomparable guitarist. Moreover, he brings forth a fresh musical style, which never compromises his heartfelt reverence for the pure traditions of American blues and rhythm and blues. Such exceptional knowledge, combined with a passionate devotion to--and mastery of--the music, is what sets him apart from the contingent of accomplished young singer/guitarists on the scene today." Add to all of this some great food, beer and wine vendors and possibly some craft vendors to the pot and you’ve got yourself one terrific time! Many, many thanks to all those who have worked to make this festival happen - all the JRBS Board of Directors, Jane Gross, Marsha Melton, and Harry Turner who continuously helped with the planning and organization of this event; and to the devoted JRBS members who have volunteered to help work the event and to provide complimentary snacks, water, ice, etc. for the performers and judges of the competition. THANK YOU! We couldn’t do it without you! A special thanks is extended to Catawba Sound Studios and to the organizers of the Taste of the Blue Ridge Blues & Jazz Festival for additional prizes for the first place winner of the competition. In addition to a $400 cash prize provided by the JRBS, the first place winner will receive recording time at Catawba Sound Studios and will also get a paid gig at the TOBR festival in Roanoke on September 18! The first place winner will represent the JRBS at the International Blues Challenge in Memphis in early 2005. Cash prizes will be awarded to second and third place winners as well. Last but not least, thanks to all the individuals and businesses who donated merchandise to our very popular Silent Auction Table! Always a highlight of the festival each year, the auction table will be filled with a wide variety of items that you can bid on – from CD’s, to household items, to gift baskets, tickets to area events, and much more! Proceeds from the silent auction table help us send the winning act to Memphis. This festival is widely becoming the area’s most anticipated events, and we hope to see the biggest crowd there yet! If you haven’t gotten your tickets for Blues Fest 2004, what are you waiting for?! JRBS MEMBERS GET DISCOUNT ON BLUES FEST 2004 TICKETS! Advance tickets for JRBS members are only $8.00 each! That could be a savings of up to $4.00 on each ticket! Call or e-mail the society now for more details! YOUR E-MAIL ADDRESS - Please help us save money and paper. If you have access to a computer and can receive these newsletters electronically, please let us have your e-mail address! If your e-mail address changes, please remember to notify us so we can update our records. Thank you! JRBS BY-LAWS - The JRBS By-laws were approved as amended at the June 8 membership meeting. The revised by-laws will be submitted to the IRS as is the requirement of a 501(c)(3) non-profit organization. NEW JRBS DIRECTORS - Two new directors have been appointed to the JRBS Board - Paul Ewing and Rick Harper. Both Paul and Rick bring to the Board not only their knowledge of music and the art of performance, but also their genuine interest in assisting the Board with evaluating a lot of different information and getting the job done! Rick also runs a small sound company for PA.
JRBS TOTE BAGS are here! A canvas tote with the big blue JRBS logo on one side can be yours for $8! Get 'em while you can! We'll have them at Blues Fest 2004! RAY CHARLES, American icon of rhythm and blues, died June 10 of liver disease. He was 73. Over his 50 year career, Charles had won 12 grammys, and hit songs included "Hit the Road Jack," "What'd I Say," and "Georgia On My Mind." In 1986, Ray Charles was inducted into the Rock and Roll Hall of Fame. NEW DEEP BLUES ALBUM FROM AN AMERICAN BLUES LEGEND AND FORMER MUDDY WATERS BAND MEMBER - "Alone with the Blues" showcases Paul Oscher as a blues singer/songwriter and multi-instrumentalist (harmonica, guitar, piano, accordion and melodica) in both solo and ensemble settings. The band tracks include accompaniment by Willie "Big Eyes" Smith, Calvin "Fuzz" Jones and Dave Maxwell among others. The CD covers a wide range of traditional Blues styles and includes seven original compositions, eight original interpretations of Blues classics and two traditional gospel songs. All in all - 17 tracks and over 68 minutes of deep blues. "Alone with the Blues" takes the listener through the gritty territory of Oscher's musical history from lonely country blues to personal themes of loss and redemption, to the inviting sin of juke joint nights and to back porch storytelling. QUEEN OF THE BLUES KOKO TAYLOR RECEIVES NATIONAL HERITAGE FELLOWSHIP FROM THE NATIONAL ENDOWMENT FOR THE ARTS - The National Endowment For The Arts (NEA) announced today that legendary blues singer Koko Taylor will be one of 12 artists to receive the National Heritage Fellowship, the nation's highest honor in the folk and traditional arts. According to the NEA, Taylor was chosen for her “artistic excellence, cultural authenticity, and contributions to [her] field.” The award will be presented to her on September 29, 2004 in a ceremony on Capitol Hill. BO DIDDLEY AND BLIND BOY FULLER were recently inducted into the Blues Hall of Fame. "...Good to see so many local musicians having such fun together, thanks to the JRBS' open door attitude." The Carl Martin marker is part of an ongoing project sponsored by the James River Blues Society to document the history of the blues in Virginia. Begun in 2001, the Old Dominion Songsters project honors the founders of Virginia blues and highlights the importance of the East Coast or Piedmont guitar style. The Society has already published a large-format brochure on Virginia blues authored by Gregg Kimball and launched an ongoing campaign to erect state historical markers that began with the Luke Jordan marker in Lynchburg. Gregg is a historian at the Library of Virginia and guitarist with Richmond-based Sheryl Warner and the Southside Homewreckers, winners of the JRBS’s 2000 blues contest. Below is Gregg’s account of the Carl Martin marker dedication on Sunday, May 5, 2004. There's something special about heading to southwest Virginia. I pull out of Richmond about 6:30 a.m. and head down Interstate 64—I’d much prefer to cruise the state routes that snake through Southside, the Piedmont, and then the Blue Ridge, but this is a long haul for one day. Despite the jockeying with the big rigs and the monotony of the asphalt, the signs along the highway bring up memories of old musical friends—I never met most of them, but I know their music intimately. The sign for Chilhowie conjures the music of Smyth County’s Horton Barker, one of the great Virginia ballad singers and a regular winner at the 1930s White Top Folk Festival. Interstate 77 splits off, pointing towards Hillsville and Galax, home to country-music pioneers such as the Bogtrotters and Ernest Stoneman. Rolling into Wise on Alternate Route 58, I think of the haunting white blues of banjoist Dock Boggs. Yes, I think, this is a country that produced some of the most remarkable musicians in American history. I feel lucky to be here to honor one of those masters—Carl Martin. Fifty-eight takes me through hard cuts in coal-laden mountains into the town of Big Stone Gap. I pull up to the Southwest Virginia Museum Historical State Park’s headquarters, a beautiful mansion built by lawyer and industrialist Rufus Ayers. Big Stone Gap reflects both the enormous wealth created by torturing the earth for black diamonds and the costs of that enterprise. The Ayers mansion is surely a long way from the tough coal camps at which Carl Martin and his colleagues played. Park manager Janet Blevins greets me. It’s nice to finally meet the person behind the pleasant voice that I heard in countless phone conversations. Janet has been a tremendous help in organizing the dedication and her museum is hosting a performance of “Old Dominion Songsters,” my tribute to Virginia blues. She sends me to unpack at the museum’s guest house and I find that my partner in crime, JRBS president Jan Ramsey, is already settling in. It’s been a while since I’ve seen her, and there’s plenty of blues news and scuttlebutt to talk about. Later, some of her former colleagues from the Virginia Division of Mines and Minerals join us for dinner. I remember another reason that I like traveling the byways of southwest Virginia—the people. Friendly, straightforward, and unpretentious, Jan’s friends take me on the cook’s tour of Wise County, showing me the site of the Dock Boggs Festival, the University of Virginia at Wise, and other local landmarks, all interlaced with a running commentary about local comings and goings. It’s been a fun night out but it’s also been a long day, and I happily fall into bed. The night before my trip to Big Stone Gap, I had chauffeured my fifteen-year-old son to the mall. Usually he commandeers the CD player and exposes me, a man firmly rooted in the 1920s and 30s, to the latest trends in alternative rock music. This evening, however, he allows me the pleasure of my Carl Martin compilation on Document Records. In the middle of “Old Time Blues,” he casually observes that “this is the White Stripes song,” referring to a popular group with lots of roots influence. Sure enough, I think back to our 2003 road trip to New Hampshire and the White Stripes compilation we listened to—damned if Jack White’s “Lord, Send Me An Angel” doesn’t share lines and even a classic eight-bar blues structure with Martin’s song. A great omen, I muse. Martin lives on—in a marker and in the music. It’s the day of the dedication and after a late rising and a relaxing breakfast we are off to set up at the Southwest Virginia Museum. Janet Blevins and her efficient staff have everything ready to go in just a few minutes. Folks start to filter in and a crowd of perhaps 25 or 30 gather for my presentation. As with all of my musical performances, I remember only bits and pieces—impressions, really—of the event. I’m totally in the moment; first playing a cut from William Moore, the singing barber of Tappahannock, then demonstrating the classic alternating thumb-bass line of the Piedmont blues, then showing an image of southwest Virginia artist Steve Tarter—and so it goes. After I wrap things up, the audience poses some interesting questions. I’m asked to play a little Carl Martin guitar. I deliver a snippet of “Crow Jane Blues,” an East Coast standard that Martin played in his own unique way. Then we are off to the marker dedication at Third and Shawnee Avenue. Rain is the order of the day and Janet Blevins has wisely asked for permission to step inside the Harry Meador Coal Museum for the ceremony. Janet welcomes everyone and serves as our master of ceremonies. Bill Cole, mayor of the Town of Big Stone Gap, speaks eloquently of the importance of the African American legacy in southwest Virginia. He seems very relaxed and is quite talkative after the ceremony, despite the fact that he is standing for reelection in a few days. Next, Jan Ramsey steps forward to bring greetings from the JRBS and describe the marker project. Many there are impressed by the society’s devotion to a project that is so far from their home base—indeed, a project that hopes to bring a new historical awareness of the blues to every corner of the Old Dominion. Then it is my turn to speak, and I say a few brief words about Carl Martin’s early life in Wise and his travels in southwest Virginia as a musician. Everyone gets their umbrellas and steps outside to the marker. Ms. Illinois Mitchell, one of Big Stone Gap’s oldest African American residents, prepares for the unveiling. Earlier I had asked her if she had ever met Martin or at least people who had known him. She wryly observed that her people were church people, and that Carl Martin’s crowd wasn’t exactly part of that world. Still, she had earlier provided Janet Blevins with the location of Martin’s house, just a block or so away from the marker. Ms. Mitchell’s memory is confirmed by the 1910 census which shows the Martin family living on Shawnee. Now, speaking to the assembled residents, guests, and dignitaries before the unveiling, Ms. Mitchell pays tribute to Martin’s contribution to the community, especially his ability to bring joy and happiness to the residents of Big Stone Gap and Wise through his music. Bluesmen and songsters had a healing role, it seems, even as the church had its part to play. Carl Martin was born in Big Stone Gap in April 1906. He grew up in Southwest Virginia and moved to Knoxville, Tenn. in 1918. He performed regionally on the guitar, mandolin, bass, and violin at coal camps, dances, and in traveling shows. In 1930 Martin’s string band recorded two instrumentals for Vocalion, released under the band name "Tennessee Chocolate Drops" for a black audience and as the "Tennessee Trio" in the white old-time music series. Martin moved to Chicago in the 1930s, recording blues and performing with artists such as Big Bill Broonzy and Tampa Red until serving in World War II. The 1960s folk revival brought Martin before new audiences. He died in Detroit on May 10, 1979. The main festivities are over, but we still have plenty of time and a place to stay for one more night. Janet Blevins invites us back to the museum for an insider tour and we can’t resist; it’s impressive to say the least. The place is full of fascinating artifacts, great stories, and colorful characters, all presented with first-class design work. We even get to enter storage areas that hold all that great stuff that the public never sees. Later, Jan and I travel to Scott County. Scott is best known musically as the home of the “First Family of Country Music,” the Carter Family, and the Carter Fold in Hiltons still presents excellent performers to music fans. But, as usual, we are looking for the path less taken and we go to nearby Gate City, where, about a year ago, I discovered the grave of bluesman Steve Tarter. Tarter and his partner Harry Gay performed widely in this area and recorded several songs for Victor in 1928 in nearby Bristol. We make several tentative passes down the main drag of the town as I search for the correct cross street. The car strains up a steep hillside, but it doesn’t look quite right. Taking a left, we find the right street and soon the cemetery sitting next to a small Methodist Church. It’s getting on to dusk on a Sunday, and a few parishioners are still in the building as we arrive. We feel their curious eyes as we walk past the house of worship to the graveyard. Finally, an elderly sister appears at the door and politely asks if she can help us. We introduce ourselves and tell her about our search for Steve Tarter’s final resting place. She nods politely and comments that it might be difficult to find in the somewhat overgrown and heavily sloped burial ground. After a brief search the marker is located, pictures are taken, and we pay homage to another early Virginia bluesman. After Chinese food in nearby Kingsport, Tennessee, we head back to Big Stone Gap and crash hard. The next day brings new adventures for me as I visit a great old-time musician in Wythe County, Jim Lloyd. Jim is also the vice-mayor and barber of Rural Retreat, but that’s another story……. Attentions Musicians: I review blues and jazz from all around the world for jazz and blues periodicals all around the world. If you would like published feedback on your new CD releases, send them to me at 152 Pinecrest Parkway, Wilmington, North Carolina, 28401. Strictly speaking, blues is a limited musical form. Opinions vary, but few experts believe that there are more than 14 distinct songs in the blues. Words and keys may change, but the music foundation is narrow. On the other hand, especially overseas, "blues" is an umbrella term for all African-American originated or influenced music over thirty years old, and that makes it possible for an instrumental anthology such as this to include some funky numbers derivative of Isaac Hayes and Ray Charles as well as expected explorations of Jimmy Reed, Elmore James and other standards. Zydeco gets its slot on this CD, too, as does ragtime. Blind Pig's hit a home run with this piece. Unlike the products of some theme anthology-mad labels, this one doesn't try to multitask. It tries to do one thing, which is entertain with the blues, and it does that one thing. It does it extremely well. This record is what volume knobs are for. Artists lending their talents to the record include Charlie Musselwhite, Deanna Bogart, Danny Gatton, Bill Perry, Chris Cain, Chubby Carrier, Tommy Castro, Willie "Big Eyes" Smith, Kim Wilson, Bob Margolin, Nick Curran, Walter Horton and others of whom I know less than I would like to know. Powerful, powerful, powerful. Guaranteed to produce joy, tears, and other extreme emotions as only the best records can. Soul blossomed early and spectacularly in Memphis, so much so that big labels frequently sent their most promising artists there to record (Wilson Pickett received and waxed "In the Midnight Hour" there, for instance). It wasn't New Orleans, but it was big. Now we've got a soul revival going on, showing itself via early disco singles reappearing in sleazy bar jukeboxes and in more enjoyable, hipper fashion on underground radio, in private homes and on bandstands. That should make reasonable listeners think of Memphis again. Well, here's a centerpiece modern Memphis soul release. Largely instrumental, heavy on overdriven organ and enthusiastic horn sections as part of the rhythm section, it is the music about which Rufus Thomas commented several decades ago, "It will make you want to do something nasty, like rub chicken grease all over your clean, white shirt." There's very little that jumps out as spectacular or innovative here. There's not supposed to be. Deep Soul documents the ghetto streets that are, or at least were, common to all big American cities. It's one story, sold by a composite character incorporating the perspectives of a lot of recording artists and songwriters from Memphis, New Orleans, Philadelphia and Chicago, and even a little input from the sugar chiffon soul crowd in Detroit. When it seemed that they'd said it all by the mid-seventies, the music started to fall on deaf ears, and then the music metastasized into disco, and a lot of us started to wish for deaf ears, but that's another story. The story here is that those streets still have the same rhythm, and there is more to say and more to explore about it, and the mainstream soul groove still works, and these ten cuts ("Coming Home Baby," "Deuce and a Quarter," "Seven and 7," "Spanish Delight," "Under the Table," "Back at the Chicken Shack," "Doin' It to Death," "I Remember Stax," "My Country Loves Me" and "Bling Bling") are guaranteed to happen for you. Treat yourself well. Find and buy this record. A great surprise. A great record. A modern, Caucasian Willie Dixon of a songwriter. The worst thing I can say about this release is that some of the lyrics are a little topical, and that's a mild, concern. There is a fascination with intentionally ugly music now, tunes that come out of potential to create mud. This one does the opposite; coming out of primordial ooze to make listeners truly feel thoughts. Popa Chubby's got a grip on the mystery and magic of music throughout this release -- He is articulate in that no man's land between mind and emotion. He comfortably, seamlessly goes from one to the other not only within each song, but within individual lines within those songs. He both has something to say and says it. His is an angry persona, but at no point is his anger pointless. Vocals, electric guitar, electric sitar, percussion (Popa Chubby), electric and acoustic bass (Nicholas D'Amato, Steve Logan), keyboards (Mike Lattrell) and drums (Steve Holley) create a dense, compact sound based in everything from Hendrix to hip hop. As the CD progresses, one gets to know, like and look forward to Popa Chubby as he makes public his own struggle against having fun in a deeply flawed world, especially as he loses said struggle in a major way and, grudgingly, has such a good time with music that he takes us along with him. It's too modern and too electric to be blues, but it defines blues successfully as music that acknowledges Life's problems for the sake of release and joy. It is most closely akin to blues in Popa Chubby's guitar work, which is along the lines of late '60s Mike Bloomfield/ Jimi Hendrix blues rock legends, but successfully inserted in 21st century song construction and production. Vocals are melodic within a limited, broken-glass-in-the-glottus range and are magnificently captured, achieving much of what most of us assume Bob Dylan to have been attempting all these years. The adrenalin-drenched rock version of "Keep On the Sunny Side of Life" seems obvious once one hears it, but it took Popa Chubby to come up with it. There are probably ways to tweak Peace, Love & Respect, but it's so superior to most of what's out there that only praise seems in order ... that and this reviewer's correction of previous negative opinion about this remarkable artist. Harmonica is a great blues instrument because of what blues is. Blues is a solution to life's woes, and harmonica is the solution to what instrument is going to play every other part when the guitarist or small combo gets on the bandstand or in the studio. Blues was originally a response from a minority to being considered inhuman, and harmonica is the instrument that sounds most like the human voice. Blues is the sound of Hope when nothing else offers Hope, and harmonica is the Music when nothing else can be transported, afforded or recorded. As a harmonica player, believing the statements above, I cannot review this record, which intentionally explores sub-blues and very little harmonica. I apologize to Mr. Musselwhite, whose abilities and catalog I admire immensely, for being unable to objectively critique his exploration of the most negative factors that ever cemented song beds. Having followed his work attentively for so long, I can only recommend all of his previous releases to readers and ask them for advice in truly enjoying this album. This is a different take on Chicago blues; material recorded there that doesn't sound as if it was based there. Classic Chicago blues was raw like a frayed electric cable, sparks and all. Delta blues, maybe a little uptown from visits to or brief residences in Memphis, was raw like those 'sweet 'taters you and your baby had just put in the fire to roast when you saw her husband come walking up the hill. Chicago blues is dense; this is sparse, which is particularly cool because Willie Dixon, master of slap bass, is marvelous and warm here; his talent probably as clear to the average listener as it is to schooled upright players on the hundreds of amped Chess sessions that featured him. The other bassists on this recording are displayed to the ear just as well. Harmonica, too, is better audible than on most blues albums of any vintage, and it sounds like harmonica. As superlative as Chicago bluesharp deity Little Walter Jacobs was, he was trying to sound like Louis Jordan's alto sax, which Jordan himself habitually played like a tenor sax. The result, a combination of instrument, amplification and recording, was great, but it was a long way from what a harmonica sounds like, right out of a player's pocket. This album is full of harmonica that sounds like harmonica. Piano is percussive as hell. Sax is an insect orchestra in the jungle. 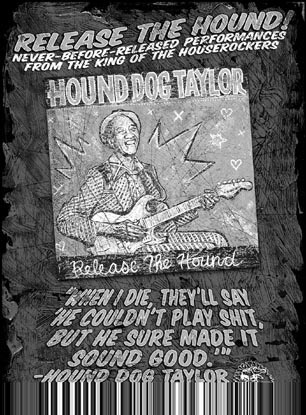 These 17 cuts, fronting Albert King(with the Willie Dixon Band), Otis Spann, Willie Dixon, Billy Boy Arnold, Sunnyland Slim and Homesick James, capture a transitional point halfway between country and city, acoustic and amplified, natural and schooled; equidistant from Memphis, Clarksdale and Chicago but extremely close to all three. One free classified ad (up to 4 lines) per membership per issue. Classifieds repeated on request. CATAWBA SOUND STUDIO - Professional studio tracking & mastering at the most affordable rates in the region. From demo to full retain CD release, we can meet your needs. Please visit our website for more info and song samples: http://www.catawbasoundstudio.com or call (540) 992-4738.